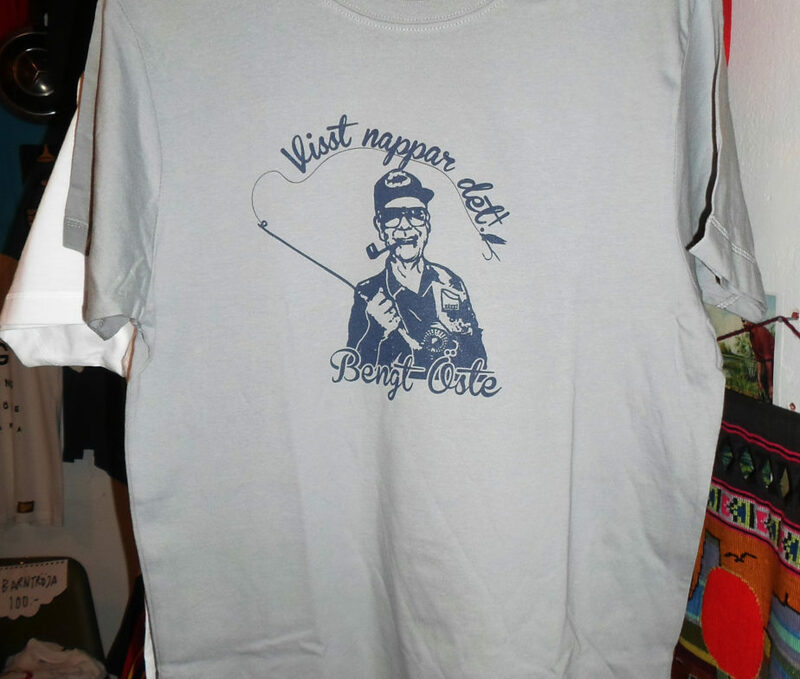 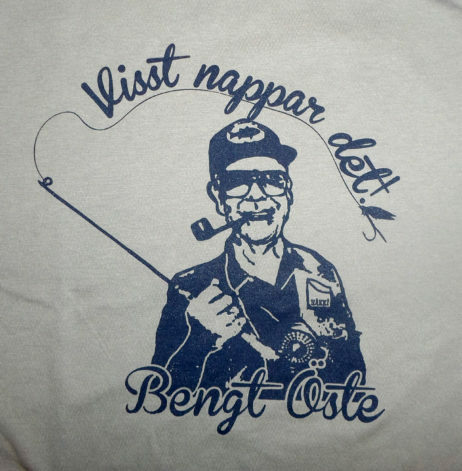 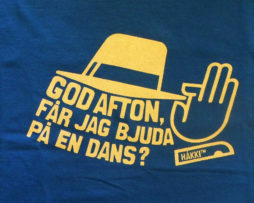 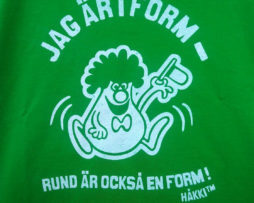 Bengt Öste Visst nappar det! 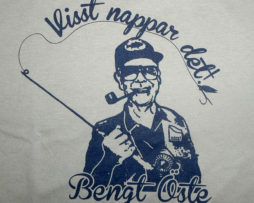 Grey mens t-shirt with dark blue print. 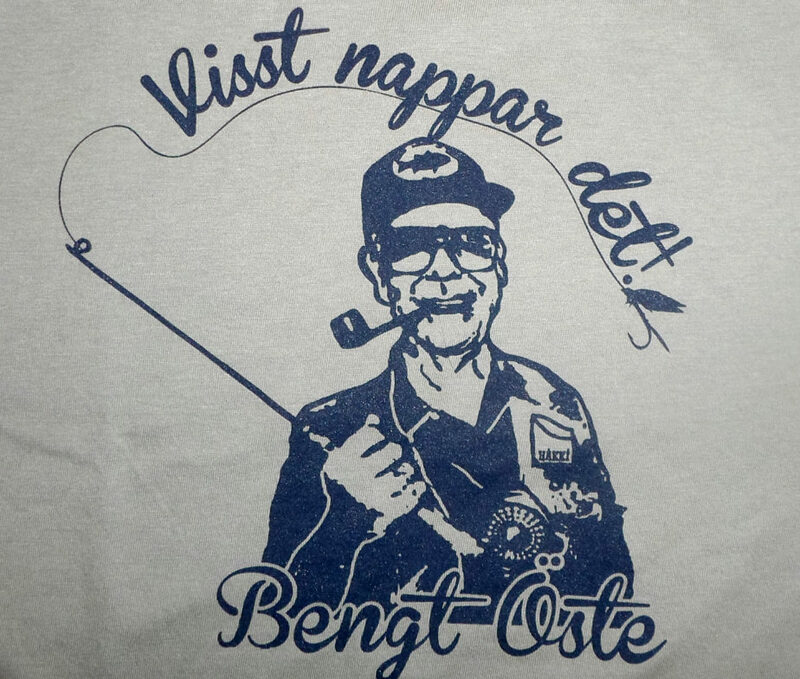 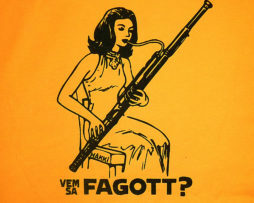 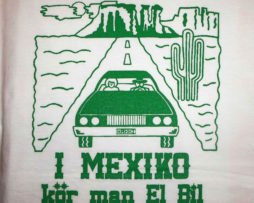 A tribute to Bengt Öste.